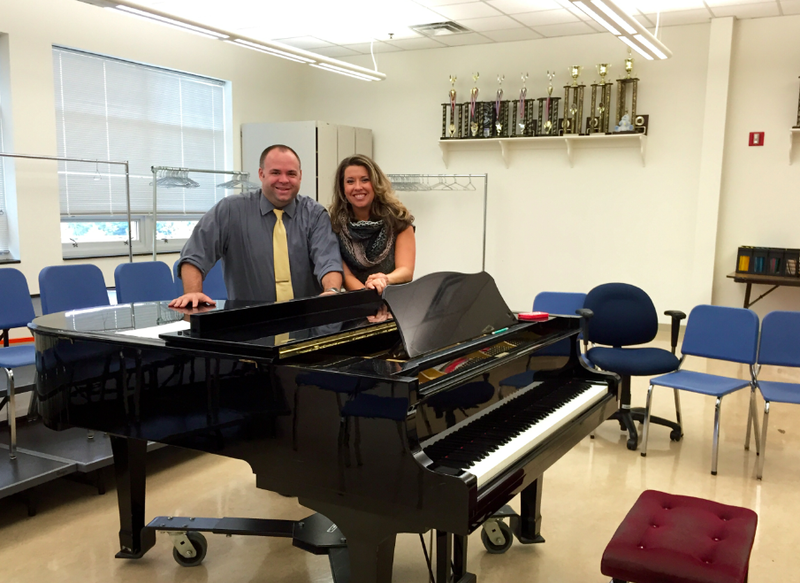 Dr. Scott and Mrs. Pramstaller are working in the choir room. Sarah Pramstaller and Derek Scott are introducing the Flint Hill Major Minors to new ideas, new energy, and new sound as they take over the a cappella group’s directorial positions this year. Pramstaller is also the choir director in both the Upper and Middle schools, and is well regarded by her students. Scott directs the Upper and Middle school bands, but looks forward to also directing a group of familiar students outside the classroom. “I think that what I am looking forward to the most is being able to work with students in a completely different setting than our normal curricular classes,” said Scott. Scott has past experience with working with an a cappella group. While completing his Master’s degree at West Virginia University, he founded an a group called the MoTones, which is affiliated with Phi Mu Alpha Sinfonia, an all male music national fraternity. Accordingly, members of Flint Hill vocal groups know him most for his skill at arranging music. A cappella capitalizes on the spirit and enthusiasm of vocal performance, something directors and members recognize well. Another year brings fresh new faces, as well as returning members committed to continuing traditions from past years and creating new successes. Corkery, also a returning member, looks forward to taking on a leadership role as an upperclassman. Though all members will draw from years past, there is an air of optimistic ambition about the group, all anticipating a great new chapter.